With one day left until MAKE London, we’re highlighting some of the community makers who are showing their creations off to the city. When not working on their PhDs or helping to get the DHMakerBus off the ground, Kim Martin and Beth Compton enjoy finding creative uses for everyday materials. They call their creations “up-cycled” jewelry. From turning hardware washers and ribbon into necklaces, to transforming old computer parts into pendants, to altering Lego to make their signature earrings, Kim and Beth like to make the mundane into something magical. Beth has always been interesting in finding new and creative ways to make jewelry. 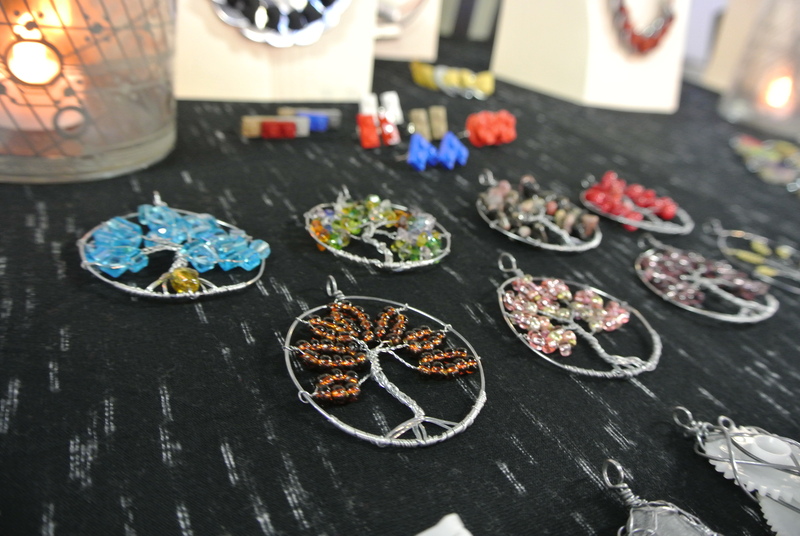 Her ‘tree city’ pendants made from hardware wire and beads are one of her most popular creations. 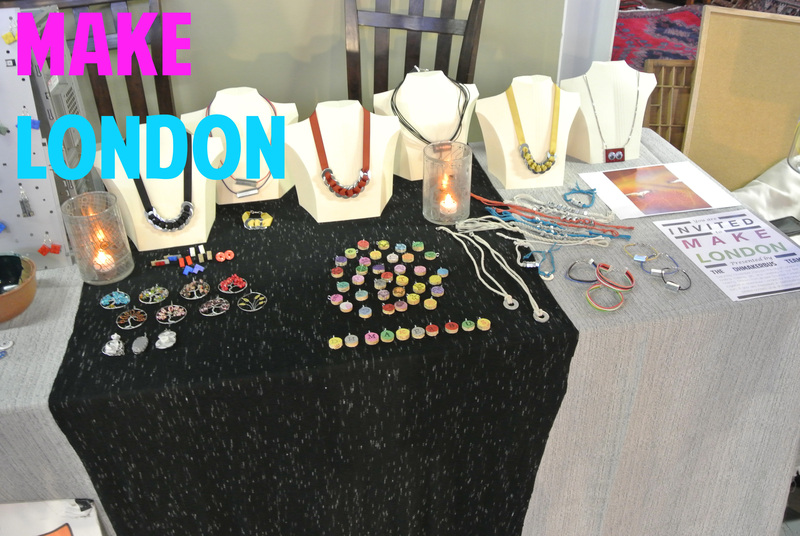 At MAKE London come and learn how Kim up-cycles old wine bottle corks into hand-stamped charms for bracelets and necklaces. Or if you’re feeling adventurous, come and take part some unwanted electronics yourself at our ‘tinker table’ and learn how you can transform your finds in your very own works of art. 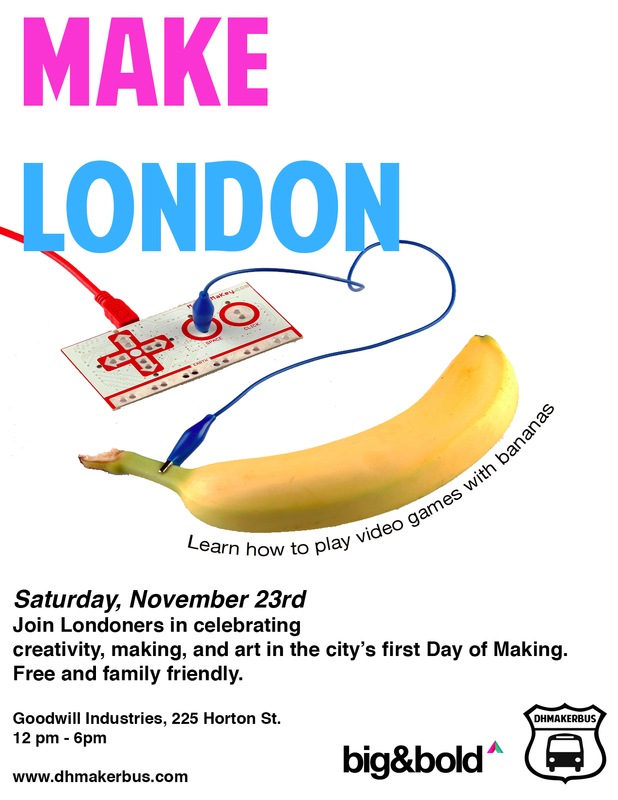 If you’re interested in making your own jewelry and would like to learn more, visit MAKE London on Saturday November 23rd between 12-6pm at Edgar and Joe’s Cafe. Show your support for creativity and hands-on learning – helps us MAKE London a more beautiful place to live.